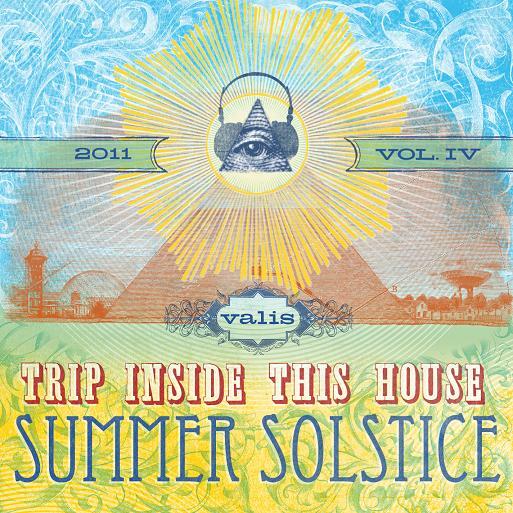 Trip Inside This House: Summer, and Psychedelia! and believe that, when it comes to psychedelic music, there's no better time than Summer. Boston's own Josiah Webb & Co. lead it all off with a strong dose. Psychedelphia's not about to be left out! Do you feel the world closing in? Did I fall out of the sky? Iceland provides the first foray from the international perspective! Detroit comes through with another powerful engine of hallucination! Sacramento, California. No stranger to anyone who's paying attention to the strange. St. Louis' own come through with a nod to...PKD! Puerto Rico's "full of sunshine" band end it all with a mesmerizing two-part trip! So.., there you have it. Vol. IV of the Trip Inside This House, Summer Solstice, compilation. (I'll have the download link up and ready later this morning. )My eternal gratitude to each of the bands who've taken the time to deliver this special Trip! I hope you can find the time to thank them as well, in your own way. They deserve your support. Get it here! (* Note: all tracks are copyright to their original creators. Play & air them freely. Share the love. Give 'em credit. )Art is here. The tracks will be getting their official debut later this morning, 5am central time in the USA, on my radio show. Listen live! Become a Fan of the show while you're there! Finally, thanks to Mr. Atavist for his fantastic artwork. You've kept the tradition whilst being completely original. I'm thankful. Labels: Summer Psychedelia. Solstice 2011. Vol. IV. Great stuff - can't wait to get my ears and head in to this. Thanks for letting me a part of it, part of a fine tradition! YAY!!!!!!!!!!!!! Happy Summer to all and THANK YOU VALIS & CONTRIBUTORS!!! We love you all. It's an honor and a privilege, sir!!! Wow, I'm trippin' out on this first track by The Magic Shoppe, it is just awesome and brilliant...and the next track is by Secret Colours, arguably the best CD in the last year, and it is haunting and creepy and totally enveloping me...are you kidding, I am totally smitten, and I am only 2 tracks in...thank you and God bless! These Trip Inside This House Solstice compilations have now firmly become a part of my Solstice celebrations, Thanks for spreading the 'Psychedelic' word mon ami. Fanatastic artwork from Monsieur Atavist too. Outstanding album yet again - and completely gratis. Impeccable collection of songs. Great artwork by Mr. Atavist too. This album + raining in Scotland = summer has begun! Love it Valis. You are such a good man for putting this together and bringing us such listening pleasure. very good things here, it's a real treat. i don't mean to sound ungrateful but the link to download this fantastic album leads to Rapidshare and i don't see a way to download it unless i have a paid account or sign up with RS sponsors "deals" in order to get the download for free. Am i missing something? Is there a central place to get these compilations? I don't see any links. 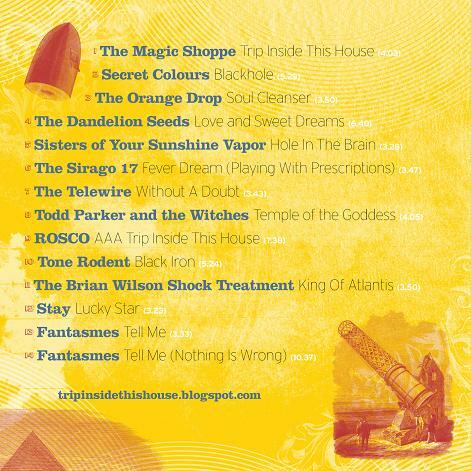 Really looking forward to this.I am a big fan of the 60's 70's stuff and have just started to discover these newer bands on here.Really impressed.For fans of this new type of psych music try the Psychedelica series on northern star records.Some excellent bands on them.THANK YOU for turning me on to some cool vibes ! !Great blog! thank you very much!!!!!! !i''ll enjoy it like a cool summer aperitif on my beach trip in santa cruz...cheers!!! Ahoy, TITH, is there any chance for a re-up! Cheers! All the best from Rumania!